Genesis 22 – not for the Kiddos? So we are telling the story in church before the Children’s Church leaves the service. this means all kids over 5 years are in church. 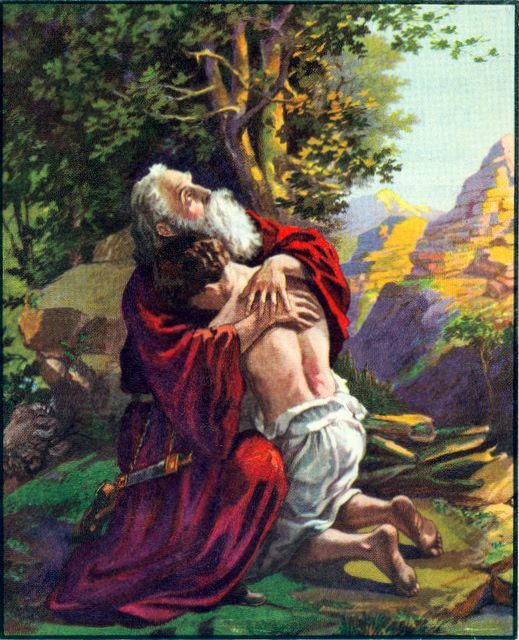 It is a hard story – Abraham asked to take his own sons life. Is it too much for kids? Will they become insecure at home? How could God ask this? Does this condone human sacrifice? Would Abraham be in Jail if he tried this today? Is this a description of how God did offer his own Son on a hill? Does this compare to the passage later where Moses offered to remove himself from “the book” if God would forgive the people? What does the text intend for us to understand? Just starting, I’ll let you know later what I come up with. It is sometimes helpful in reading the text to find a Bible Atlas or other resource and try to plot out the locations of the story. In Genesis 14 there are 11 kings, about half a dozen battles, and a number of geographic details that mapping clarifies. It is nice to fond one that was done by an expert. But scratching out your own map is an exercise in paying attention to the details. I cross referenced my two Biblical Atlases (Oxford Bible Atlas and New Bible Atlas) a Study bible (which often have maps in the back) and commentaries. Above is my work. It got me to thinking about getting goat-herd soldiers to take on a larger force of battle tested soldiers lead by a man with a vision from God. Sometimes we can deal with the same biblical passage in a variety of ways. Much of the scriptures are in the form of stories (narrative). Hence we can simply tell them. This is how these stories were passed down until the point when they were compiled in the sacred text. Telling in an oral culture, one without writing, can be a very stable form of communication. Important history can be carefully passed from generation to generation without much change. Teaching has another purpose. It is to divide and define. It is more analytical. Often it takes the form of an informative lecture. Preaching has as its goal to call the people of God to keep the word of God in their lives. It is not enough to define the bits and pieces of a story. It is not yet enough to pass on the information. It involves a call to believe, obey, turn from error – in short, it calls for a response. I’ve been telling the bible story at our children’s mid-week ministry, to 3rd to 5th graders. My telling is freer than the passing on of ancient tales. It is an attempt to tell the story in terms that kids can relate to. A little drama and some movement is always good. A few shouts here and there – especially if the kids get to join in. 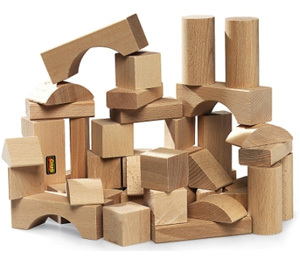 We actually shouted down the walls of Jericho – ours were made of paper-bag blocks. This summer I am both telling the text as story for he whole church, kids included, and then preaching to the adults. It will be interesting to see if the adults will like the story telling as much as the kids. 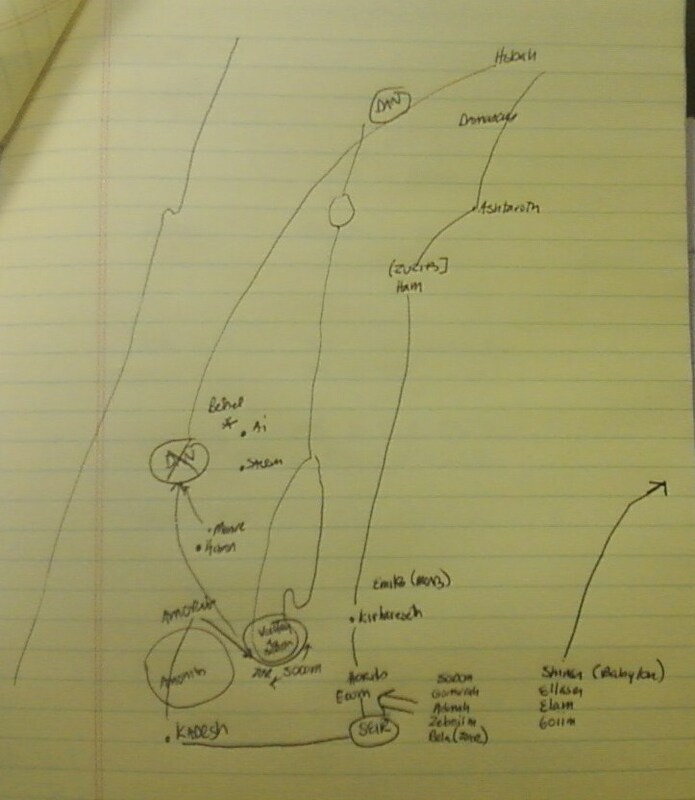 T o do this for Genesis 14, I spent a good hour trying to track down place names in and around Canaan. It is because I like these two parts that I am better suited to church ministry than to academia. I love the scholars, but I am not one of them. 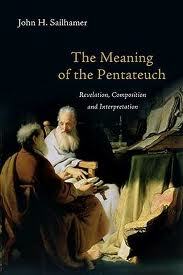 Having read the first 200 pages of “The meaning of the Pentateuch” I am able to summarize his point, I think. Revelation is in the form of scriptures. Many have fallen off the track by elevating the historic background or the acts of God in history to the place of revelation. While background and events are important ( they needed to have happened, of course) they are not revelation. Revelation is what the text, made up of words and sentences has to say. 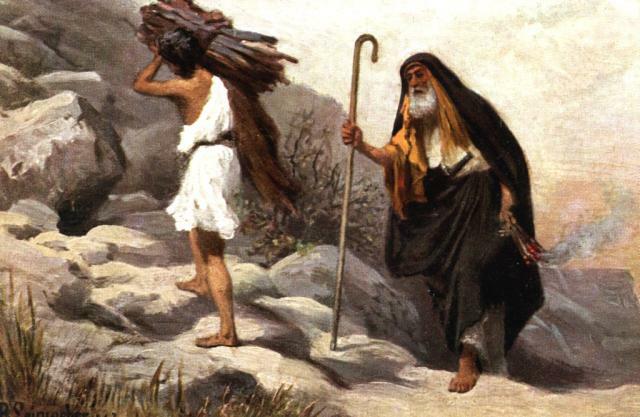 The other interesting thing, now we are over the introductory hurdle, is to see him make his case that the Pentateuch is more about the life of faith (Abraham) than the life under the Law (Moses.) It was also interesting to see his idea that disobedience brought a more legally complex set of regulations on the people of God than what was first given at Sinai. Now for the next 400 pages. If you read this book, please come and play. It is interesting to put scriptures next to each other. On thing to notice is that Revelation 21 and 22 portray a New Jerusalem that is a sort of restoration of the condition of Eden. There is there a river that flows through it, as a river flowed through and watered Eden. 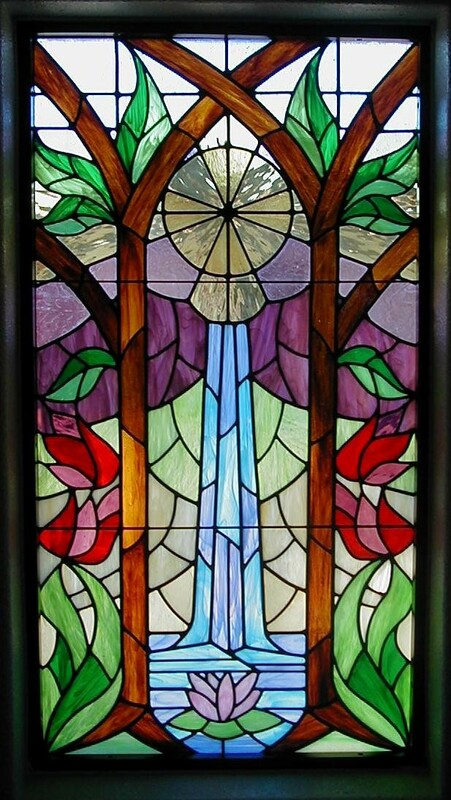 There is a Tree of Life by that river, just as there was a tree of life in Eden, to which the exiled couple were not allowed to return. There is no curse in this city, which has not been the case for humanity since the curse was laid down in Genesis 3. The bible starts in a garden and ends in a city. It is also interesting to put the discussion of the walls and foundations of the city together with the Psalms of Zion. One such is Psalm 48. But I find the international flavor of Psalm 87 interesting. There are three gates on each side – North, South, East and West. These gates are formed of a single pearl. Yes, these are the pearly gates from the old Gospel song – “He the pearly gates will open.” Each of these gates bears the name of one of the 12 tribes of Israel. This is to say that the full number of Spiritual Israel will be there. The New Testament says that we Gentiles also become descendants of Abraham when we have faith in Christ. There are 12 layers of foundation. These are made of precious stones. Each of these layers is named for one of the 12 Apostles. This means that this city is built upon the Gospel of Jesus Christ. There is no other name by which Salvation is given. But Salvation is given freely through the preaching of the Gospel. Psalm 87 talks about the gates and the foundations of Zion – the other name for Jerusalem. It says that the Lord loves the gates of Zion ( a synonym for Jerusalem). It says that God has established the foundation – as we see the foundation of the New Jerusalem is the word of the 12 apostles. He loves the gates because it is through the pearly gates that the redeemed enter the city. It says who gets to go – those who are born in Zion. The word we use, “Born Again” can also be translated, “Born from above.” When we receive the gospel are born again and made citizens of Zion, the New Jerusalem. Psalm 87 lists surrounding nations (Rahab is Egypt) and some of them were the enemies of Israel. The Lord writes their names in the register of the citizens of that city. In Revelation 20: 12, 15 and 21:27 there are references to the Book of Life. This city has everything we need, but it does not have some things. It has no Seas, no Temple, no Son, no Moon, no Night, no uncleanliness and no remnants of the curse of sin. Names of God – He has an app for that! A number of the names of God are attached to historical events. I will be exploring this in a sermon series at Bethany Church this summer. The title is “He has an app for that.” The idea is that there are a variety of places or circumstances we can fall into where we need to call on the Lord for help. I’ll also be telling the scripture as story before the kids head off to Junior Church.